The T.M. 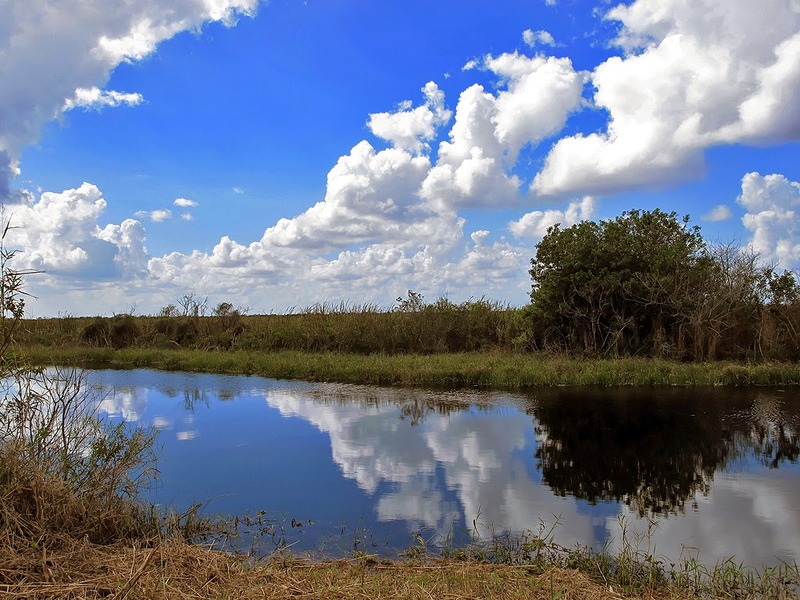 Goodwin Unit is a 3,870-acre wetland restoration project in the upper St. Johns River basin. 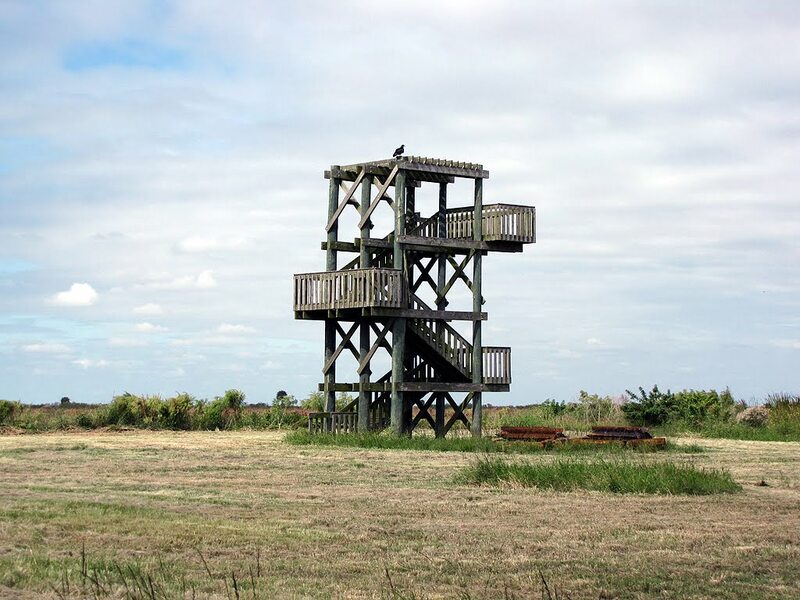 It is a public waterfowl hunting area. 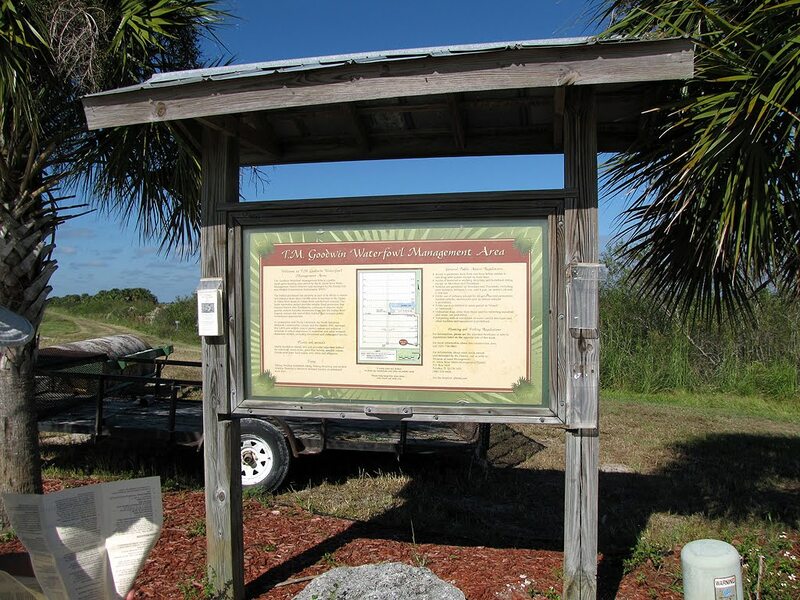 Development was funded by a number of hunting organizations, the Florida Fish and Wildlife Conservation Commission on land owned by the SJRWMD. The whole project falls under the Three Forks Marsh Conservation project. 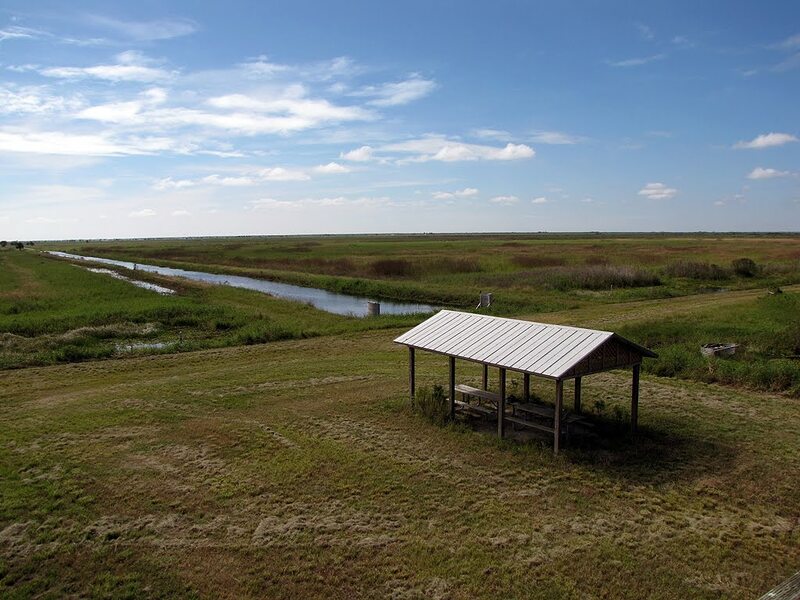 Like all the areas in the Three Forks Project, it is mainly just an assortment of levees surrounding marshes. I have visited the area a number of times, both as a hiker and a birder driving around the levees. 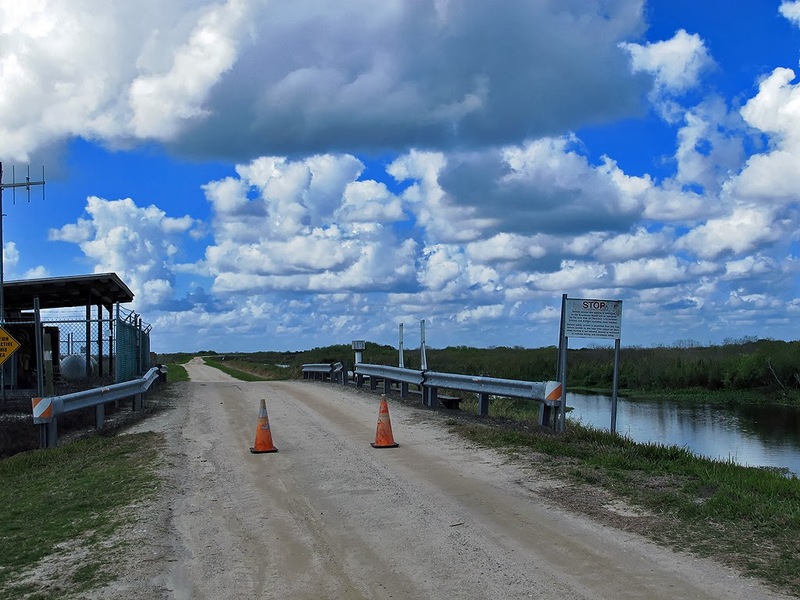 You can hike and bike around the levee roads whenever the main gate is open. As far as driving around, there was a limited schedule as of 2014. It might have changed since I wrote this, so you might want to check before going out there. The driving schedule as of 2014 is limited access on Mondays, access to the Broadmoor Marshes on Thursday (9am to 4pm). During hunting season you will encounter mainly duck hunters, trying to get that elusive duck that might come to their calling. I recommend that you check and take heed of the hunting schedule. Hunting must stop at 1:00 pm. 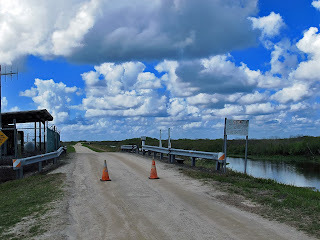 The main way to get to the entrance to this WMA is off Babcock St in Fellsmere. From the north, take I-95 to Malabar, Exit #173 (Old Exit #70). Turn left (east) on Malabar Road to Babcock Street (SR 507). Turn right (south) for about 11.5 miles until you intersect the C-54 Canal. Turn right (west) on south side of canal (Fellsmere Grade – dirt road) for about 6.5 miles and follow signs to the T.M. Goodwin WMA. 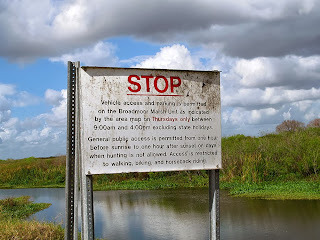 Vehicle access to the levees is allowed on Mondays and Thursdays from 9:00 AM to 4:00 PM, weather permitting (if roads are wet, no vehicles are allowed). On Mondays there is limited access, you can only go up to an old pumping station and the tower area. When there is a traffic cone in the roadway, don’t continue pass that (it is a little deceiving because they leave the cones out at other times, but not the middle one). On Thursdays they allow you int what is called the “Broadmoor” area. This section is where you will have access to the ponds with most of the birding activity. You can drive around the ponds. The only thing you have to be careful of is fellow birders etc who may take up the with of the narrow roads. When we visited the area there was an office trailer located at the entrance. The people there provided us with some updated information about the area. If you visit during business hours, stop in and say “hi”. There is a large information kiosk located at the entrance. If you are lucky, there may be some brochures provided there also. This area is comprised of levees and roads, totally out in the open. When looking down one of the long levee roads, you can get a feeling that it never ends. The marsh areas created by the levees hold a variety of wildlife. Depending on the time of the day you visit the area will depend on what you see. Wildlife, as in most cases, are more active early and later in the day. There can be some beautiful wildflowers to be found if your there on the right day. Some of the water lilies are spectacular! There is an observation tower provided a few miles in. This tower provides you with a 360o view of the area. Management has provided a covered picnic table area near the tower, so you might want to bring your lunch out with you. 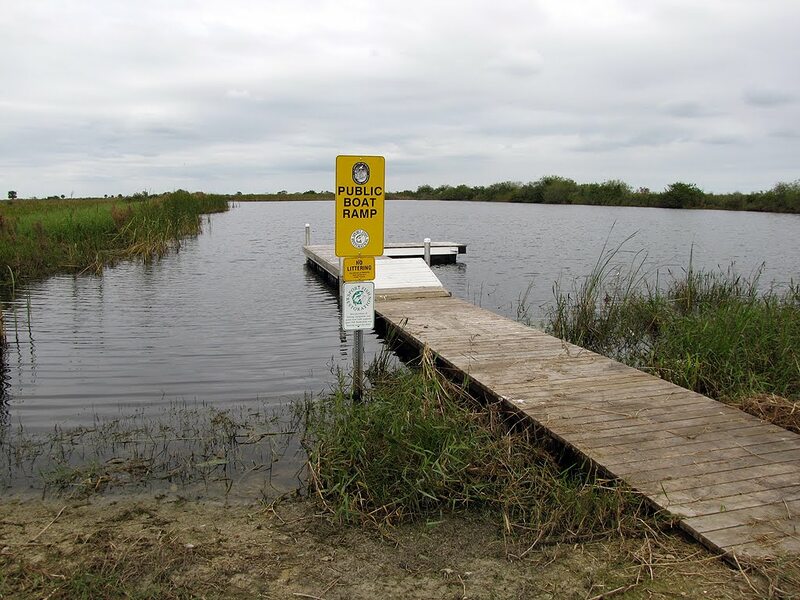 There is a small pond next to the observation tower which states that it is a boat launch. I really don’t know much about that. We did see a variety of wildlife in the marshes next to the levees, from wading birds, to songbirds to some very large alligators. This was in November, I’m sure during some warmer times you would see even more alligators. 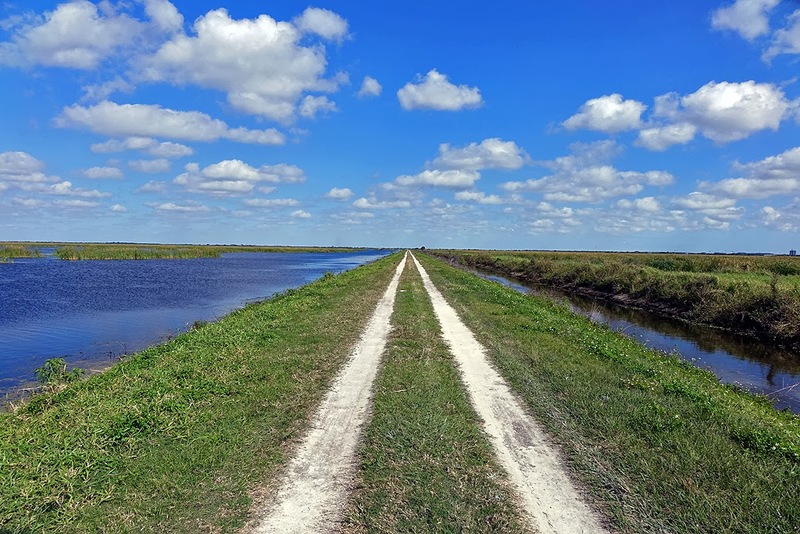 As with all of the Three Forks Marsh area, you can just get so far before it is a wise idea to turnaround in your walking. 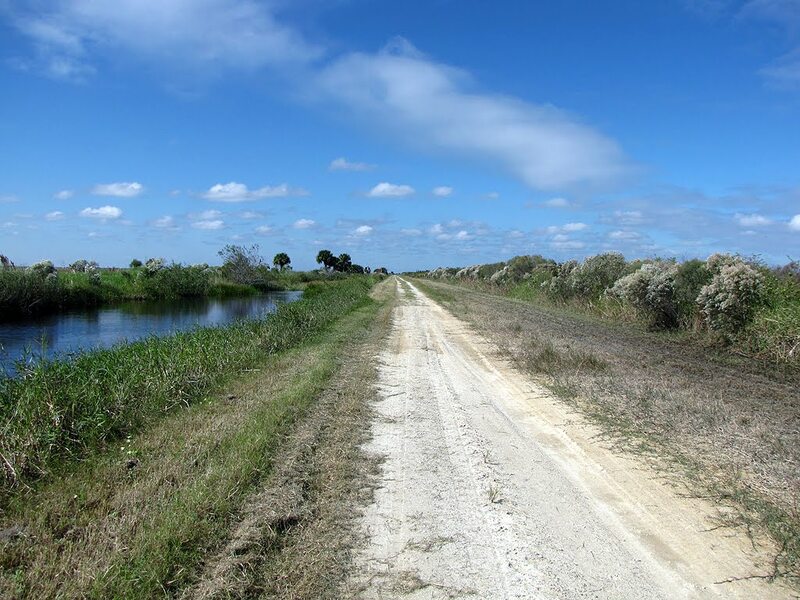 If you elect to bike it, than there are miles and miles of levees you can visit. Once the SJRWMD completes construction out there (told in 2014, maybe), you will be able to travel from the Thomas O Lawton Recreation Area off of Malabar Road all the way down here. This would be a great thing if and when SJRWMD opens the area, you should contact them to see if they are moving forward on opening the area.